Until recently we were only able to supply Free-Range eggs at The Waffle House. But in 2014 we are now able to give you Free Range chickens in all our chicken dishes. This step is part of our on-going effort to ensure our business supports ethical and humane food production methods. There is a lot of confusion and a lack of clarity as to what constitutes “free range”. In South Africa and all over the world the definition is still not clear. So until such times as it is, our main concern is the benefits of animal welfare in the production of chickens. The fact that they are not caged in tight spaces and they can roam for all or part of the day is a step in the right direction. Reports about the benefits of free range chickens have been mixed. But some small studies show that pastured chickens may be healthier. 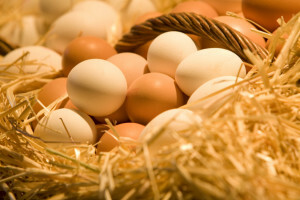 A 2003 study by Penn State University researchers found that eggs from pastured hens have higher levels of omega 3 fatty acids and vitamins A and E. For the greatest health benefits, purchase poultry and eggs from a trusted source so you know the chickens ranged freely on pesticide-free grass. Have you explored Tanglewood yet?